Having just posted the trailer for the 1949 production of Madame Bovary starring Jennifer Jones, I thought share the trailer for the more recent adaptation starring Isabelle Huppert. I'm planning on watching both films before the Mia Wasikowska movie - filming in in the Normandy area of France now - arrives next year. And debating rereading the novel. I know I should, I really should. Let's take a look at the trailer for Claude Chabrol's 1991 making of Flaubert's masterpiece; I'm looking forward to some looks at the lush Oscar nominated costumes and plenty of French sights and sounds for the Dreaming of France meme lovers. 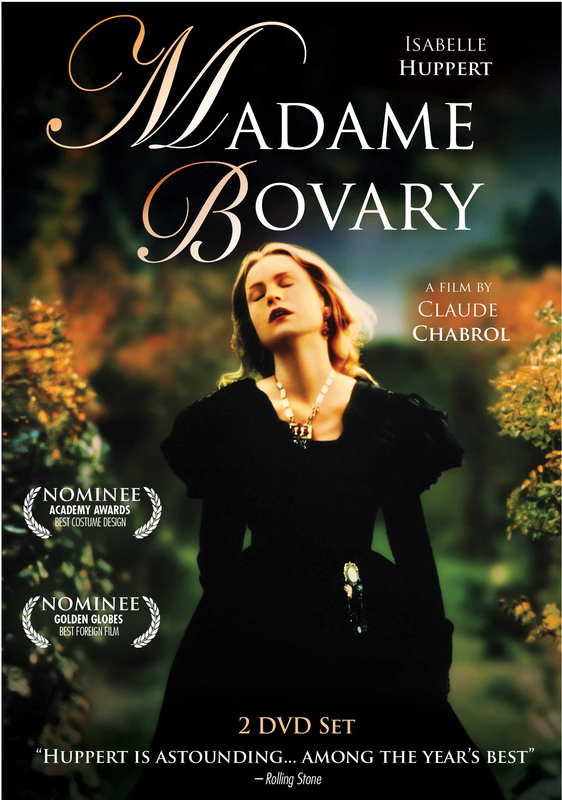 Honestly, at this moment the idea of Madame Bovary being produced as yet another period film from a literary classic sorta bores me. I have no doubt it will be gorgeous and Mia - Jane Eyre - Wasikowska is the vision of Flaubert's Bovary. I'm sure director Sophie Barthes will bring her own vision but frankly I'm wishing for a modern retelling. That I think would really be luscious.